Just got back from a wonderful vacation in Greece. 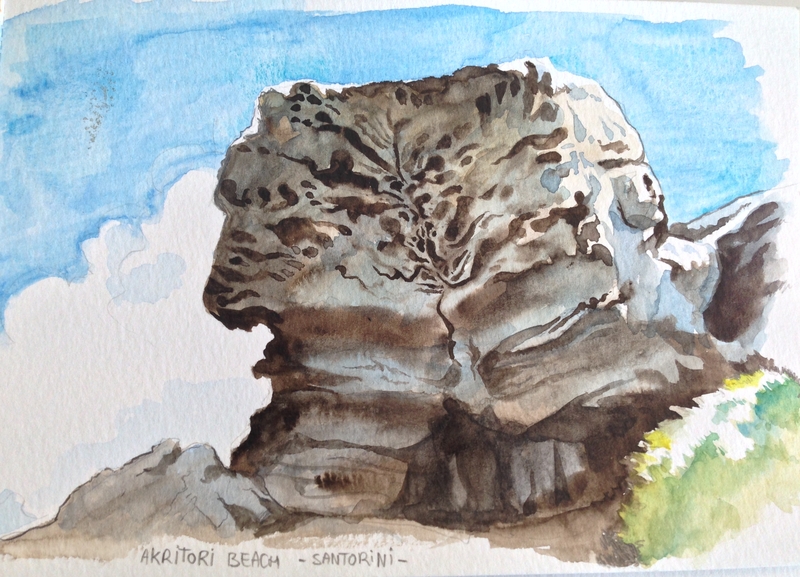 While I was there I bought a little watercolour set because I really wanted to relax and paint in the outdoors. I thought I would share it on the website.Hope you like them! 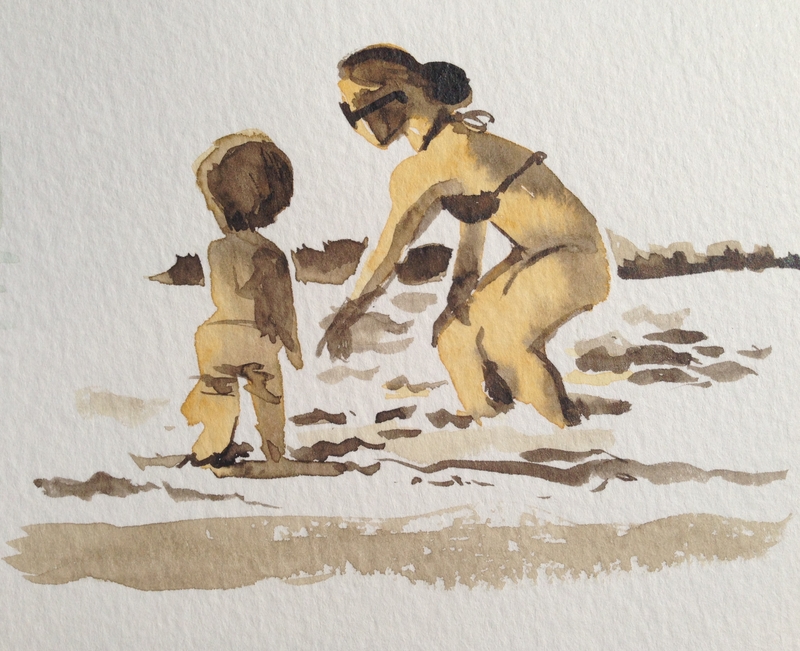 These two where done in the beach of Chania, Crete , while sitting down in the towel. On these I tried to paint directly without any preliminary sketch , just putting on colour masses and continue from there. 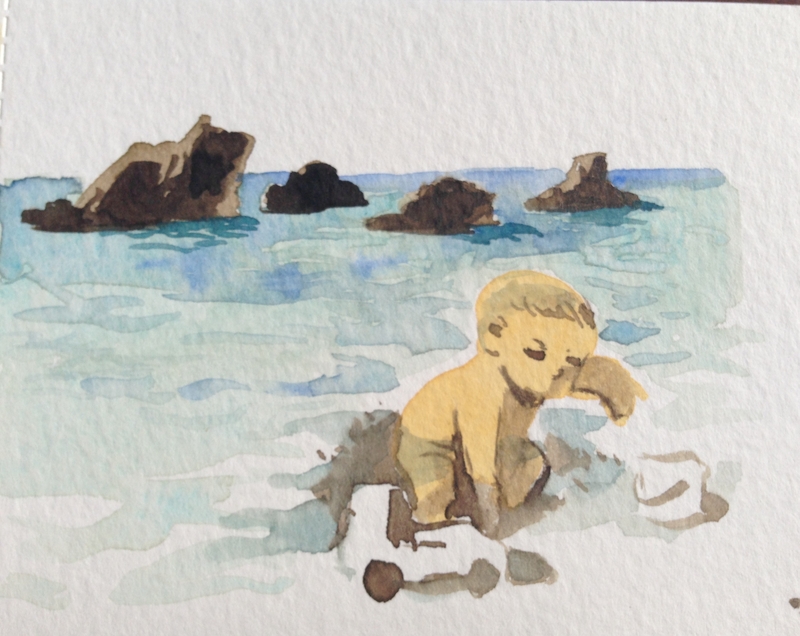 I did this one from life. In the terrace of a small hotel in the south of Crete. The beach has the nickname of "Sleeping Dragon" for the shape the rocks and beach make from this point of view. 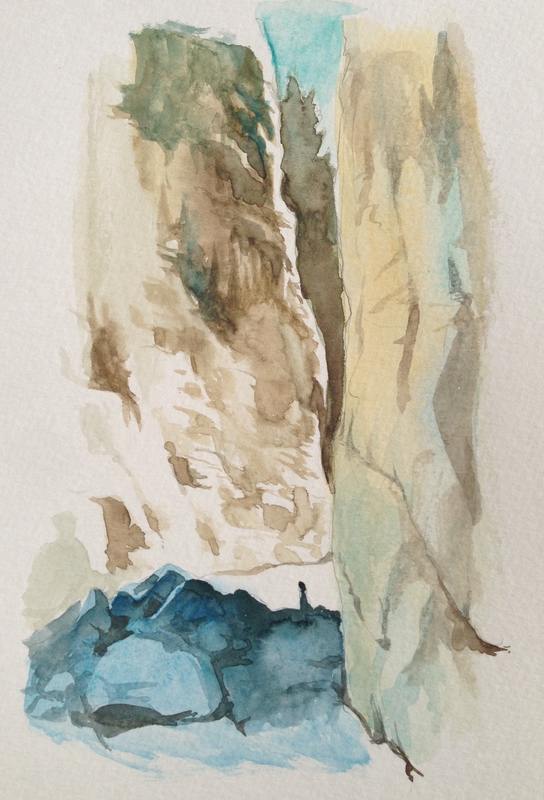 This one is done after a beautiful hike in Crete called Samaria Gorge. A walk between great walls of rock ending in a beach. I did this on a little bar by the beach , looking at one of the pictures on my digital camera. 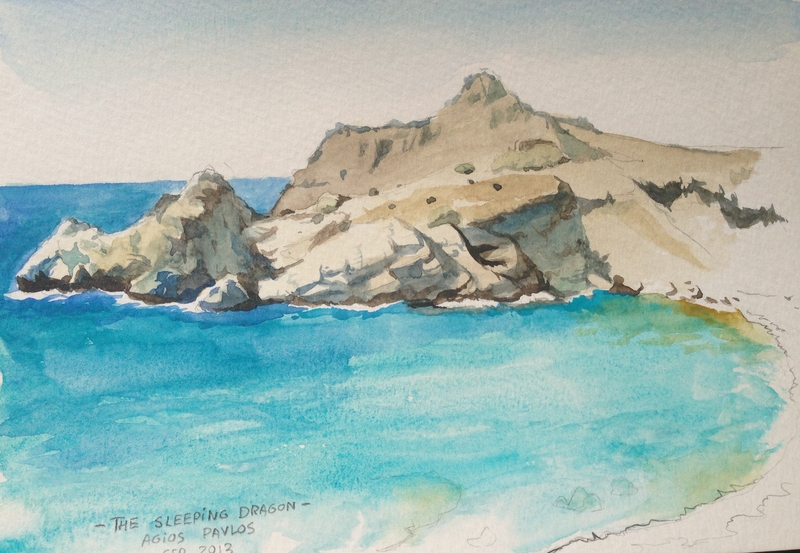 This one is done on a beach of the volcanic island of Santorini. I was fascitated with the shape of the solidified lava on the rocks. They were almost like otherworldly organic shapes that I found very interesting.